Another August, another trip to Olympia, London where the clothes trade fair PURE is held. August in a big, glass greenhouse is always a hot and sticky affair but we struggle on(!) nevertheless. Jonny Q jeans are selected and ordered with Duncan and his team…….and the lovely girls at Myrine (they have dropped the ‘and me’ because everyone was shortening it anyway!) help us put together a great order of layering separates. 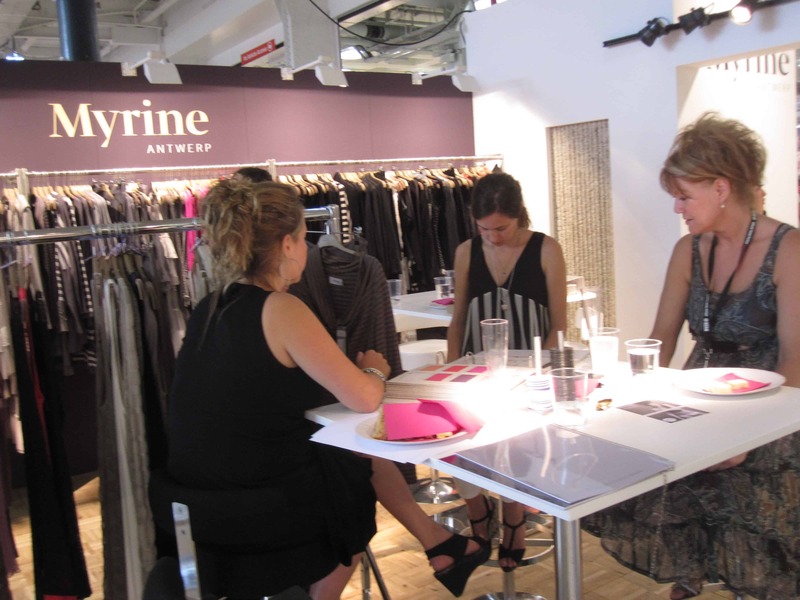 Myrine has proven to be very popular with our regular customers and we hope they will be pleased with what we have selected for s/s 13. Faux fur is still all the rage and Moore and Moore have a selection of what we think is the best quality around. We place a nice little order for autumn and carry on looking around the exhibition. PURE is a great place to stumble upon new labels we might not have seen before……you’ll have to stay tuned to find out if we discovered any hidden treasures!! Eventually we head home……slowly!!! Traffic coming out of Olympia is always rather chaotic. We can almost taste the chilled drink waiting for us in sunny Somerset. Mmm mmm mmm!!!!!! !